Just before we ring in the new year, Pantone unveils the colour of the year to come, it sets the tone for more than just interiors - although that is what you’ll be reading about here - and lends it self to inspire a community of artists, and creatives to embrace and put their own spin on. 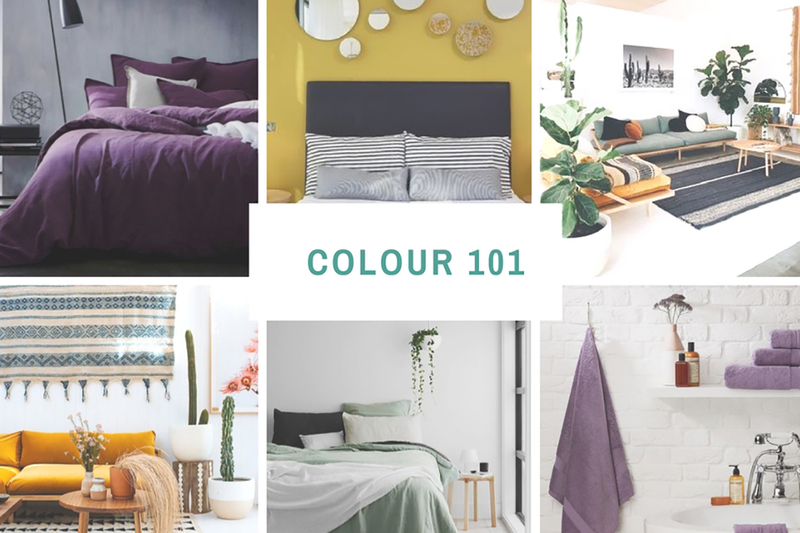 Ultra Violet (which is the 2018 Pantone Colour of the Year by the way) may not be for everyone, but there are easy ways to reacquaint yourself with some of the most striking hues that may have felt a little to bold, or bright or unnecessary in your beautifully neutral home. If you feel adventurous, read on for your dose of new colour inspiration. The pale, crisp cousin of Mint Green, Sage is the colour of the season. Muted and neutral, it is the ultimate complement to the earthy tones in your home. Marrying perfectly with natural fibres, bamboo, and raffia but equally as impactful next to deeper blues, and cool grey tones. This colour is simultaneous inoffensive and classic but breaks away from the grey undertones and adds a point of difference without straying too far from your palette. With a warmth that is fresh and light, Mustard defies expectations and adds a depth of saturation. Drawing out the hues in neutral tones, and juxtaposed against a cool base. Mustard best lends itself to natural light and open spaces. Although confronting initially, the tone adds a crispness to your home that can otherwise be neglected. Sat against raw wood, rust and off-white undertones, mustard truly shines. Described by Pantone as “a dramatically provocative and thoughtful shade”, this, not-for-the-faint-hearted hue has striking written all over it. Bold in its execution, and unashamedly bright. With an undertone of romance, it is best paired with cool greys and soft rose colours to amplify it’s brilliance. Use it to add a depth to your home and pair it with rose gold features, lighting, or hardware for an unparalleled finish. If you still can’t bring yourself to let colour loose on your walls, the best trial is to begin introducing it into your accessories and linen. Opt for a Mustard throw instead of your usual Grey or test out Sage bath towels on your next trip to Sheridan. Slowly littering these into your home may just change your mind.